We were commissioned to design and supply a special ‘memento’ coin gift pack for an upcoming conference. 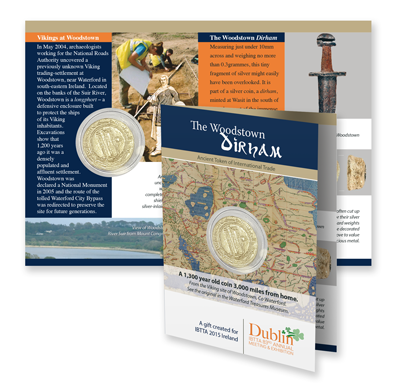 My client wanted to provide attendees with a replica coin of the Viking or medieval period in a small presentation card-folder. After some research, we created a design that satisfied the client’s brief and we saw the job through from proofing to printing to packaging and supplying the finished job. After the conference, we were advised that the coin ‘memento’ went down very well and became a real, positive talking point.